For over 40 years, Tex Engineering have manufactured robust construction equipment for the highways and utilities industry, trailers for marine applications and a range of innovative kiosks. Tex Engineering are proud to count international, national and regional retailers, councils, commercial businesses and private users as clients. 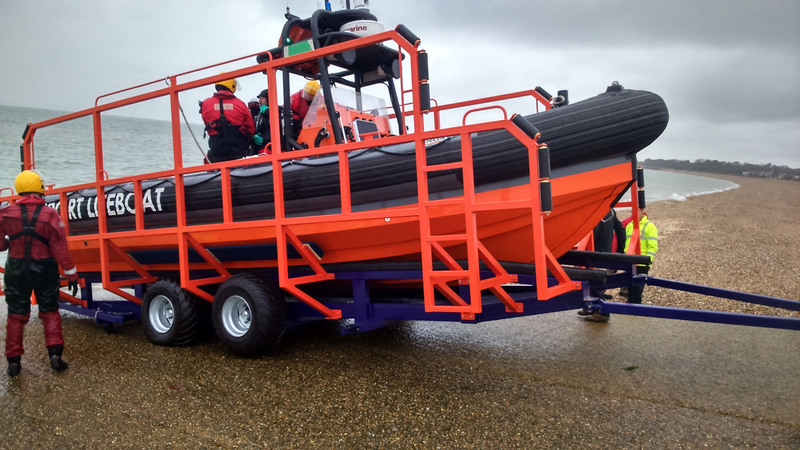 Tex Engineering trailer undergoing sea trials for Gosport and Fareham Inshore Rescue Service. Bitmen Boilers and cauldrons, chipspreader, sprayers, gas bottle cages, ray heaters, roller pan mixers, mortar loaders, drum mixers, mortar movers and pan mixers. Trojan Mastic asphalt cauldrons and mixers. RM Trailers Sailing boat trailers, powerboat trailers, hovercraft trailers, hov pod trailers, jet ski trailer, goods trailers, industrial trailers, general goods trailers, road equipment trailers, generator/pump trailers, turntable trailers, underground heating pipe trailers, offshore raiding craft trailers, aircraft support system trailers, rescue trailers and satellite trailers. Springwood Thermoplastic pre-heaters, thermoplastic road marking machinery trailer, thermoplastic white lining pram, thermoplastic screed truck, thermoplastic self-feeder and spray machinery. Barter Burner Radial burners, pot burners, bar burners, Insertajets, Insertabars, two-stage injectors, FR1 burners, kiln burner sets, Segas burners and Centurion burners. Allied Kiosks Gas meter storage, governor kiosks, meter kiosks, combined logger and modem kiosks, comms and solar kiosks, logger kiosks, underground logger kiosks, instrument kiosks, fixing kits and vent stacks. 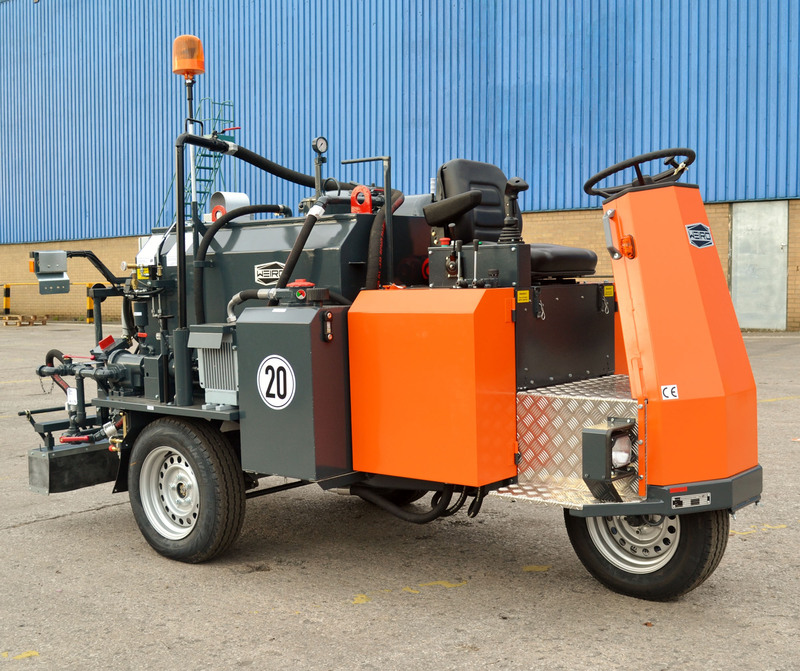 Weiro TM800 ride-on sprayer by Tex Engineering. 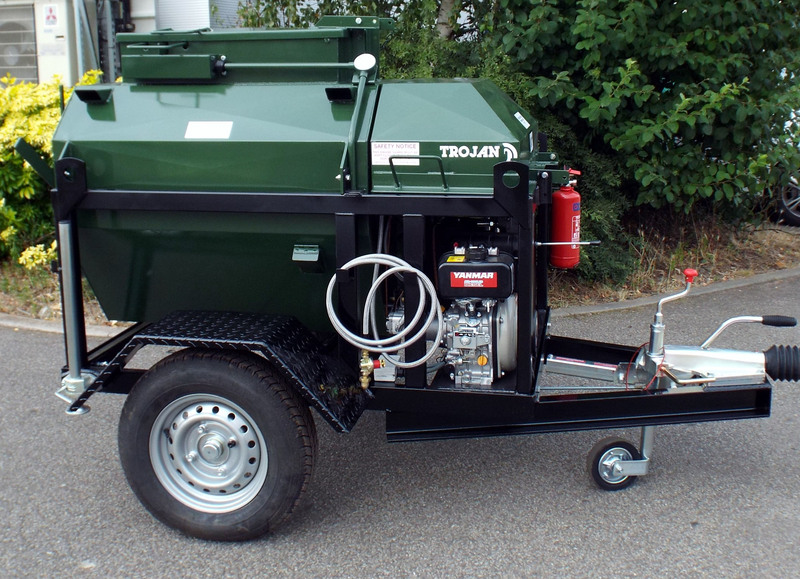 Trojan Scorpion 12 CWT by Tex Engineering, UKs leading manufacturer of mastic asphalt mixers.